From the mind of Gwen Stefani comes the world of KUU KUU HARAJUKU. The animated series comes to DVD in North America from Shout! Factory in collaboration with DHX Media. The second installment, KUU KUU HARAJUKU: SUPER KAWAII, contains 12 episodes from Season One, as well as new interviews with the show’s voice cast and will be available on DVD on September 26, 2017. KUU KUU HARAJUKU: SUPER KAWAII is available now for pre-order at Amazon.com and ShoutFactory.com. Initial shipments of the DVD contain nail decals of fun KUU KUU HARAJUKU-inspired emoticons (while supplies last). The 2D-animated series currently airs on Nick Jr. in the U.S. and on Family Channel in Canada. The animated series KUU KUU HARAJUKU follows the fun-filled adventures of the band HJ5 – Love, Angel, Music, Baby and G – through their super cute world of music, fashion and style. The inspiration for this popular animated series came from Grammy® Award-winning musician Stefani who wanted to create an animated series for girls that encourages and celebrates creative self-expression, imagination and individuality. The show’s setting is inspired by the exuberant street fashion and creative youth culture of the Harajuku district but it takes place in a magical fantasy world like nothing you’ve ever seen before. Join Love, Angel, Music, Baby and G — five totally talented members of the super cool band HJ5 — as they return with 12 more hard-rocking tales! With help from their loveably incompetent manager Rudie, HJ5 travels all over the globe to put on shows for their fans! That is, of course, if they can actually get through the crazy adventures keeping them from their gigs! But together, HJ5 will do what it takes to perform … and maybe even save the day! Recently, we learned about a great new toy from Jay@Play, creators of the popular flipable friend, FlipaZoo. This new toy helps make bedtime easy, painless, and even fun for little ones! Your kids will be delighted by the Magical Light Show on their ceiling when they choose any of Playbrites six colors. Mix and match accessories will spark their imagination while they pop on eyes, ears, mouth/nose, and other fun animal parts, interchangeable with any Playbrite model. When they’re done playing, all nine accessories store safely inside the unit, for easy cleanup and transportation. The carry handle makes it easy to take Playbrite wherever you go. Your kids will love to say goodnight with Playbrites! As a mom and a blogger, I take a lot of photos. Since I recently upgraded to the oh-so-amazing iPhone 7Plus, I've been having a blast learning all the ways to use this far superior camera. I upgraded from an iPhone 5s, so the difference is literally like night and day. I'd even go as far as to say that I feel like I am carrying my fancy DSLR in my pocket. Well, actually, in my purse. They really don't make women's pockets big enough for...well....much of anything. That's a different post entirely, though. I've also been checking out tons of different online photo editing programs, collage makers, etc. One of my favorites has to be Fotor. They have both an online editing platform as well as a handy mobile app. (These are free, but like most programs, offer in-app purchases.) Fotor is easy to use, easy to understand, and they offer a ton of great features for beginners and expert photogs alike. Let's face it: A good photo editing program is essential in this digital age we live in. Don't you agree? This is a sponsored conversation written by Wrapped Up N U on behalf of DisneyNature. The opinions and text are all my own. Disney's Born In China, narrated by John Krasinski, transports audiences to some of the worldâs most extreme environments of China where few people have ever ventured to witness wildly intimate and adorable moments in the lives of three animal families - a doting panda bear mother, a 2-year-old golden snub-nosed monkey, and a mother snow leopard. It is the seventh theatrical release from Disneynature, which brings the worldâs top nature filmmakers together to share wildlife stories that engage, inspire and educate. The breathtaking footage and high-definition quality picture is captivating for audiences of all ages and is a must-add to the in-home collection. 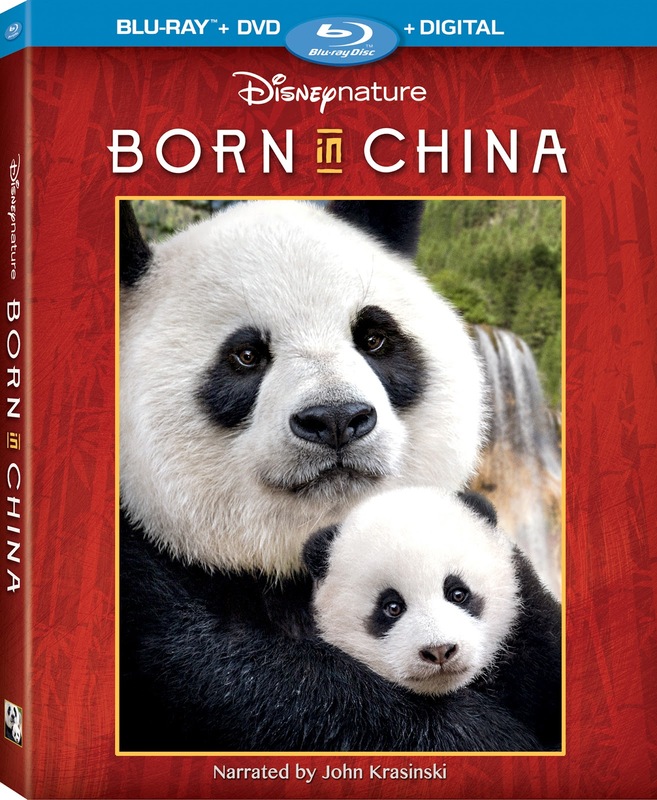 Disneynatureâs newest true-life adventure film âBorn in Chinaâ journeys into homes on Digital and Blu-rayâ¢ Combo Pack on Aug. 29. Disney's Born in China Giveaway! This giveaway will run through 09/15/2017 at 5:00 pm EST and is open to residents of the US ages 18+. You are not eligible if you have won a prize from the sponsor in the last 90 days. The winner is subject to eligibility verification and will have 24 hours to confirm before a new winner will be drawn. For any questions or concerns about this giveaway please email wrappedupnu@gmail.com (please consider adding this email to your âSafe Listâ as the winning email notification will be sent from this email). We all âlove it when you like us or follow usâ on social media! By following us on our social networks and by email we are able to get the best giveaways together on the internet! If you take an entry you must stay following for the entire contest or you will be disqualified. Please refer to the full terms and conditions on the giveaway widget. This giveaway is in no way endorsed, affiliated or associated with Facebook, Twitter or any other Social Media Networking Site. Disclosure of Material Connection: Wrapped Up N U received the product above to facilitate the writing of a review. Some of the links on this post may be affiliate links. This means if you click on the link and purchase the item, I may (at no cost to you) receive an affiliate commission. Regardless, I only recommend products or services that I use personally and believe will add value to my readers. I am disclosing this in accordance with the Federal Trade Commissionâs 16 CFR, Part 255: Guides Concerning the Use of Endorsements and Testimonials in Advertising. As Alwaysâ¦. Thank You For Visiting Today ~ Please Leave Some Comment Love While You Are Here!